Simon James is an author, and an archaeologist. He presents a clear, concise and rational introduction to the ancient Celts from an archaeological standpoint, and does an excellent job of presenting different scholarly viewpoints. He even includes a bibligraphy and web links. Some of his arguments and opinions are controversial, as you can see from this interview in Celtic Cultural Studies. This site is about archaeological research into Celtic culture in Spain. It’s in Spanish, but you might want to take a look even if you don’t read Spanish. This is a well-researched, thoughtful site by Hans Lucas on Celtic, specifically Gaulish, bronze casting in the Netherlands from 2000 B.C.-800 B.C. Manching, a Celtic Oppidum south of the Danube in Bavaria was the site of an advanced metal working workshop. The production of iron tools, arms, fibulae, and bronze jewelry was well developed. Gold was mainly used for coinage, while gold jewelry is scarce. As methods of investigation, Mössbauer spectroscopy, thin section microscopy, and neutron activation analysis were applied. Moulds used for gold and silver coin production, tuyères from a furnace for gold and iron work, bricks from furnaces with the remainders of tube canals, and samples of mudplaster were studied with the aim to reconstruct metallurgical processes used by the Celts. This is a simple but useful collection of links to Irish archaeology related sites. Current Archaeology magazine covers archaeology of the British Isles and Ireland. Some articles are particularly interesting in terms of Celtic culture, like the one in Current Archaeology vol. 135 excerpted here on the Snettisham Hoard, an Iron Age gold hoard discovered in 1948 at Snettisham in Norfolk. The hoard contained a number of beautiful rings and torcs and this page includes some images of the ‘Marriage Torc’ from Snettisham, a gorgeous gold torc with an elaborate terminal decorated with an abstract human face. Llys Rhosyr, Anglesey is the recently excavated site of a thirteenth century Welsh Llys or court. In the century before the conquest of Wales in 1283, Welsh culture was flourishing in the courts of the Welsh nobles. Several Welsh castles of this period survive, but none of the “courts” or palaces still stand. This excavation is a first. This site, among other things, is the home of the journal British Archaeology Magazine . A large number of feature articles, as well as other content from the magazine, is available on the web. This is the official journal of the Archaeological Institute of America. This article from the March 1998 issue of Discover magazine discusses a recent excavation of iron surgical instruments. This page is a succint introduction (with a bibliography) describing some of the archaeological ruins and monuments of Ireland. A collection of data and sites on Irish archaeology. Stone circles, dolmens, standing stones, cairns, barrows, hillforts, and other archaeological sites in Scotland, England, Ireland, and a preview of the menhirs and megaliths of France. The Discovery Programme is a government sponsored effort at preservation, outreach, and education about Ireland’s archaeological wealth. For its first phase of research, the Discovery Programme focused on problems of human settlement in Ireland’s late prehistoric period from c.1200BCE to c.550CE. The Programme created four principal projects: Tara —an archaeological and historical survey of the most important royal site in Ireland. There are a variety of other projects described, most of them focussing on the early bronze age. Scotland. This site has links to various reports on the Project. The Keltenmuseum in Hochdorf is the home of the artifacts from a excavated Celtic prince’s burial. 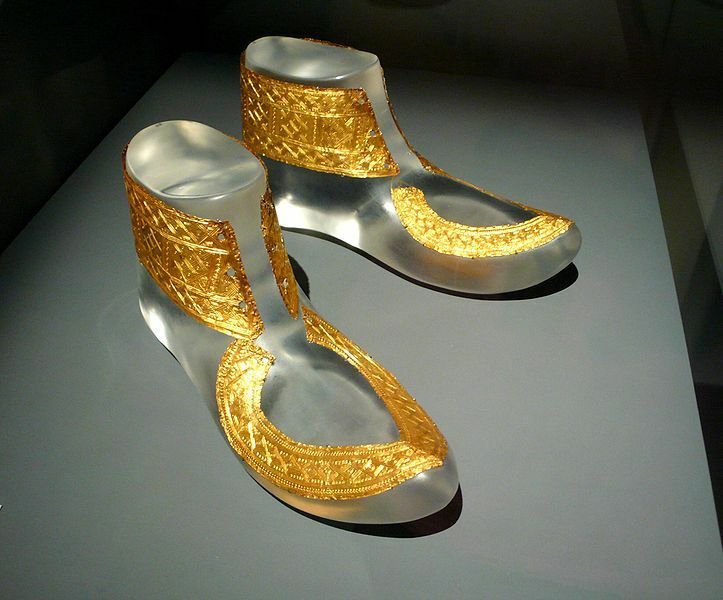 Some beautiful gold jewelry, and a number of important artifacts were preserved as well as the design of the barrow itself. The site is mostly billingual, but the navigation is a bit odd. Pay attention to the links at the bottom of the pages. Heuneburg in modern day Hundersingen, Germany, is one of the most famous aristocratic burial sites; this site offers background information on the various excavations, the finds and the area, including directions to the museum itself. Text is in German and English, and there are some interesting images. The Rhynie man is a Pictish stone carving of a man, who appears to be walking, and who carries an axe. The art is probably from about 700 to 850 CE, and the page offers images and background information. This page is part of an interesting site on the Aberdeen area of Scotland; you might want to check out Prehistoric Grampion and the rest of the site too. James M. Deem has written a childrens’ book (well, older children probably) Bodies from the Bog on the various bog bodies preserved astonishingly well for thousands of years in the dense acidic peat bogs of Europe. This site, like his book, is loaded with pictures and is a pretty good introduction to bog archaeology and the bog body finds. GIS and Remote Sensing for Archaeology: Burgundy, France. This project is a collaboration between Dr. Scott Madry from the Center for Remote Sensing and Spatial Analysis at Rutgers University and many researchers from other institutions, including Dr. Carole Crumley, Department of Anthropology, University of North Carolina at Chapel Hill, who has conducted research in the area for 20 years. A period of over 2,000 years (from the Celtic Iron Age to the present) is being analyzed in an effort to understand the interaction between the different cultures and their environment over a period of many years. SPOT, Landsat, ARIES ariborne scanner, and traditional aerial photography and survey data have been collected over a period of nearly 20 years. They have, among other interesting sites and artifacts, discovered a Gallo-Roman villa. The prose occasionally gets a bit technical, but the images really do help, and it’s worth persevering.